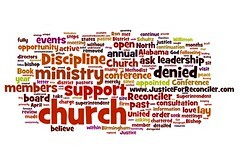 On March 31, 2011, Church of the Reconciler was a vital, growing, United Methodist congregation. We faced many problems, inherent in a ministry to the least of these. Our theology of radical hospitality and an unguarded gospel means we are in ministry to addicts, prostitutes, homeless, the unemployed, and the poor, in addition to those who are well-to-do. As a result, it sometimes feels like we are always a few steps behind where we should be…as soon as we understand a need, determine how to address it, and garner the resources, multiple other needs have presented themselves. But we feel called to our ministry and firmly believe that when God calls us, God will provide the resources. And so, on March 31, 2011, we were feeding the hungry, housing the homeless, directing addicts in and to recovery, clothing those in need, and helping transport those without access to transportation. We had an active children and youth ministry that served nearly 50 children and youth and their families. We were pursuing the purchase of additional space to more safely serve our children while continuing to grow our ministry to the homeless community. We had recently formed new partnerships with UAB and other organizations. We had two full-time paid ministers, and our founding pastor, R. Lawton Higgs, Sr., was ‘volunteering’ full time in his retirement. We had a wealth of volunteers who freely gave of their time to maintain the many aspects of our growing ministry. Many of those volunteers were formerly homeless, recovering addicts, who had found healing and wholeness at Church of the Reconciler and sought to help others on their journey. Thanks to the support of many other churches in Birmingham and beyond, we managed to maintain our budget, and in the 18-year history of the church, we had always paid our bills on time and stayed solvent. In short, we were a ministry whose leadership — pastoral, lay, and volunteer — and work was well-respected and highly thought of in the community. 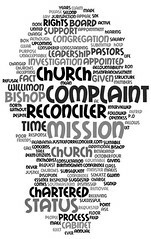 We continue as friends and members of Church of the Reconciler. We volunteer. We pray and study together. We serve. We feed. We clothe. We give our tithes and offerings to this church, which we still feel passionate about. But we continue to seek justice. We covet your prayers and support in this endeavor.